Collector's item. Not to be found anymore. Your keepsake from the Holy Year. Up for sale a wonderful medal magnetwhich has the image of the Holy Year of Mercy. Handmade is full of detailed colours. Impossible to find. Not made anymore Collector's items. Released for the Jubilee of Mercy. The item comes with a cardboard holy card with golden accent and the prayer for the Holy Year in the back in 5 languages. Also this is a collector's item with limited number of prints. Blessed by Pope Francis in Saint Peter Square during public audience for the opening of the holy door. I've brought it myself.....and was this is a special occasion!! 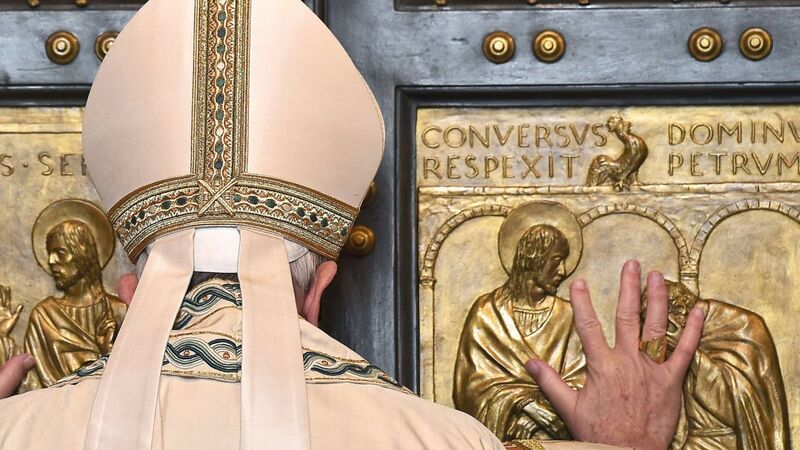 Back in March, Pope Francis announced a jubilee year called the Holy Year of Mercy. As the National Catholic Reporter explained, these special years have been convoked by the church every 25 or 50 years since the year 1300. Comes with a parchment of the blessing by Pope Francis!